चीबी Rene in Her बैटमैन PJ's. I got bored... so I made a चीबी Rene!!. Wallpaper and background images in the Young Justice OC'S!!! 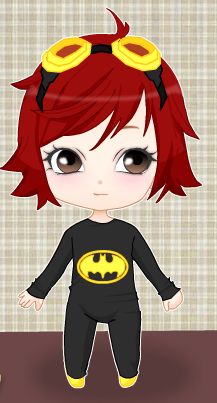 club tagged: oc young justice rene pjs batman.